Have you heard of Lawn Grubs? 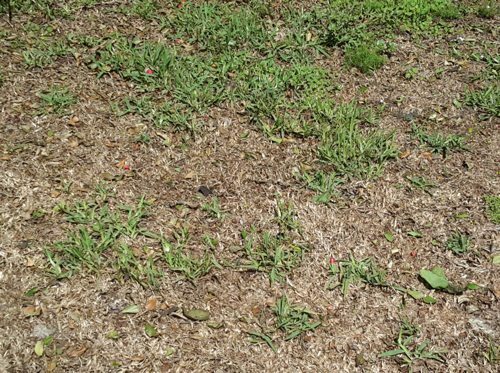 Is your lawn suddenly scattered with patches of lifeless, brown, thatch-like grass that seemingly days ago looked healthy and green? A few customers have called recently to say they think we have killed their lawn. But no! We can guarantee you, it is not us. ‘There is nothing in our entire bio-chemical arsenal that is capable of killing your lawn,’ assures Jim Burgess of Active Pest Management – The Pesties in Blue. 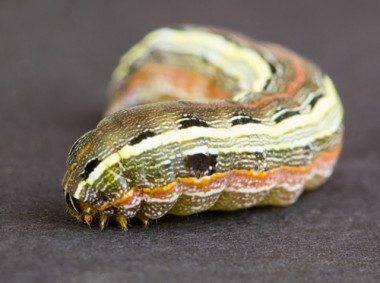 ‘Lawn grub’ or grubs is in fact a collective term for a host of lawn invaders like White Curl Grub, Army Worm, Cutworm or Sod Webworm. These grubs are the juvenile stage of adult pests that feast on root systems or surface leaves. Each can cause extensive damage to an otherwise healthy lawn in record time. Tell-tale signs include greyish brown moths hovering over your grass as they search for healthy blades to lay eggs on. They soon hatch and that’s when the major damage is done. The caterpillars can vary from dark green through brown to black, often with black spots and a striped appearance. Often you won’t see them because they are active at night, but they can spend up to 3 weeks chomping away at your grass before transitioning to the next phase in their life cycle. Likewise, increased bird activity or wasp-like insects often signifies an infestation, as can a spongy feel as you walk over the lawn. 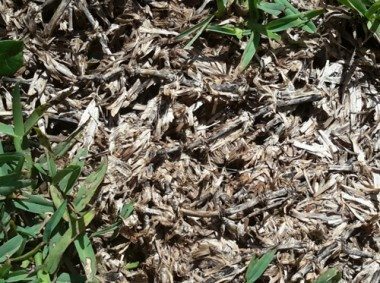 You can lift the dead, brown thatch and notice it is loose from the soil, like matting or turf, because the grubs have eaten through the roots. 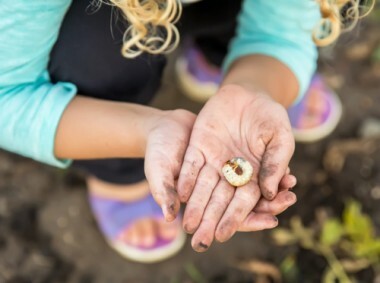 Unfortunately, lawn grubs will always attack a healthy lawn as opposed to a weak one and treating them only once will not eradicate them for good. It takes a vigilant approach and repeated treatments to stay on top of fresh infestations. Be aware lawn grubs are a very different problem to funnel ants, though they both cause unsightly damage to grassy lawns. Funnel ants work in complex, underground colonies leaving multiple conical mounds of soil on top of grassy areas and beside walking paths as they tunnel down into the ground. There is a wide range of lawn grub and beetle treatment products on the market. Be careful to follow packaging instructions and also mindful of minimising toxicity for birds and mammals that frequent the area. As is often with case with pest problems, choosing the right product for your lawn type and circumstance is not always easy. We invite you to photograph affected areas of your lawn and any grubs you find and send them to us via our Contact Us page or the Active Pest Facebook page. 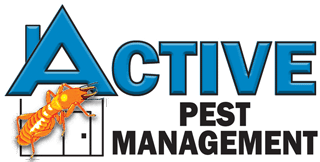 To make an appointment for us to visit your property, call 6686 8607 or submit an enquiry by the Get a Quote button on activepest.com.au. We are here to help with all your pest control concerns.